It’s your company’s responsibility to make you a success. Do you believe that? If you do, you’re in for a bruisin’! I know. You were interviewed and sold on the company’s training program. You thought that was the main criteria for your success. But, if it were true that the training program guaranteed success, all those agents who went through it would be selling up a storm. They’re not. So, here are facts and fallacies about what a company training program can do for you. Because my start-up business plan, Up and Running in 30 Days, has been a best-seller, the editors there asked me to update it again with a fourth edition Since real estate is changing so dramatically, I wanted to update the potential or newer agent (or even you experienced agents), with the major trends agents need to recognize. This excerpt explores the important trend of company training. 1. They aren’t taught as ‘training’. They are taught as ‘education’ (someone tells you all he/she knows, so you know what the teacher knows). How you’ll know: If the instructor spent almost all the time talking, and you spent little or no time in role playing or in action plans, it really wasn’t training to prepare you to sell real estate. You know a lot, but, what can you DO? How you’ll know: Look at your training manual. Which is the largest part? How you’ll know: Were you given a prioritized lead generating, business-developing plan to put to work in your office every day? Did you have to make a daily and weekly schedule and analyze and evaluate it? Bottom line: What were you taught, what experiences did you have, and what models were you given that prepared you for the day-to-day job of managing your real estate career? Question: What did you wish would have happened during that training that would have helped you succeed much faster? Let me know. 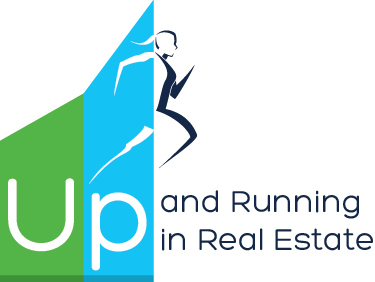 I’m right in the middle of doing my fourth edition of Up and Running in 30 Days!